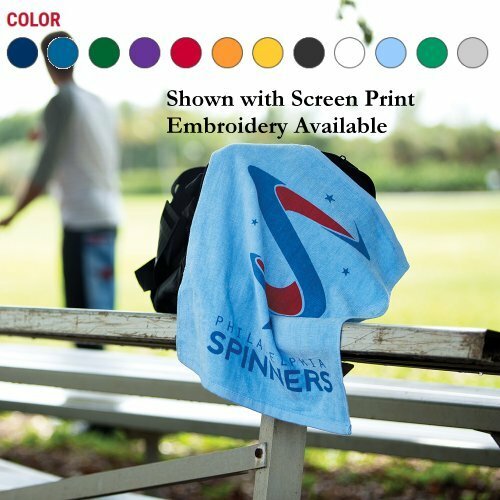 Show off your team spirit with this brand boosting towel! From our Jewel Collection, this terry velour, hemmed, 100% cotton rally towel measures 15" x 18" and is an ideal choice for high schools, colleges, youth sports, political campaigns, corporate incentives, stadium giveaways and much more! With a large assortment of colors and imprint methods to choose from, you're bound to find one that fits your needs. Wave them like you just don't care!